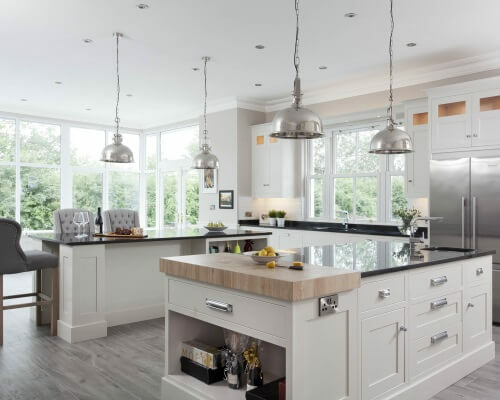 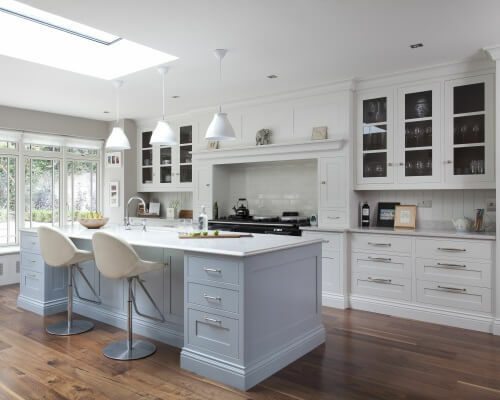 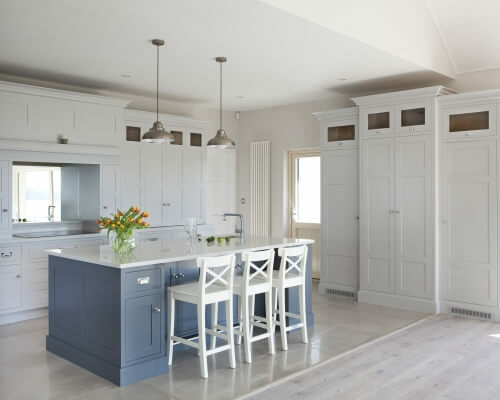 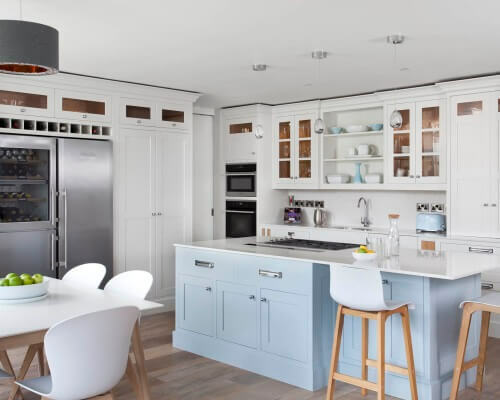 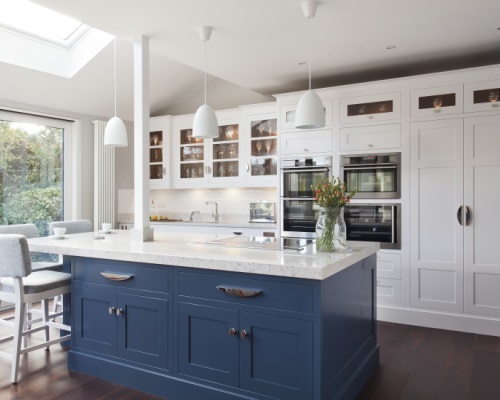 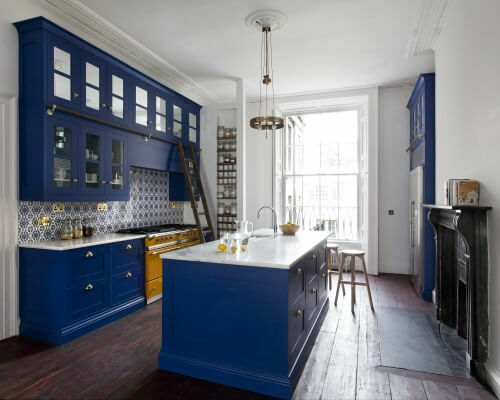 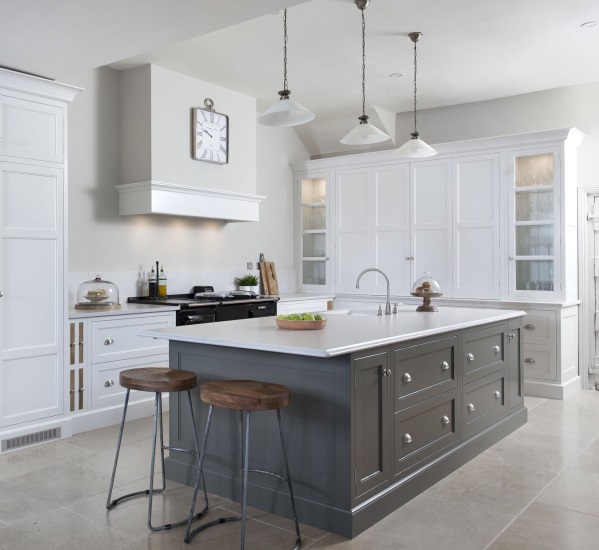 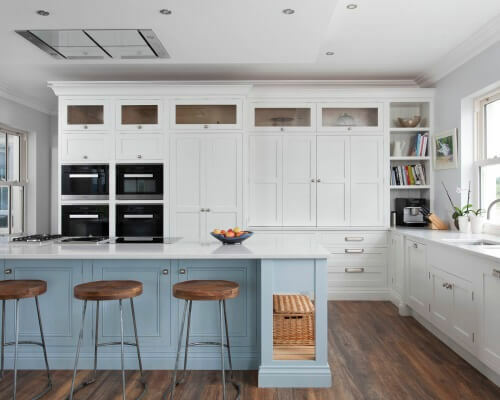 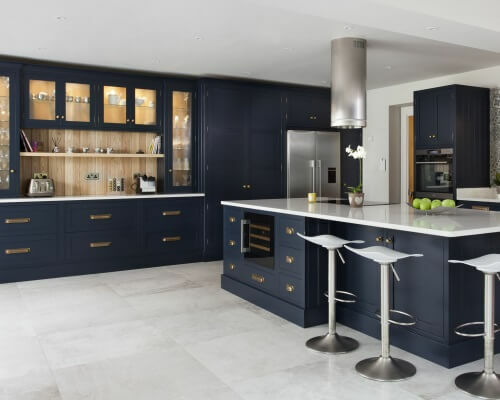 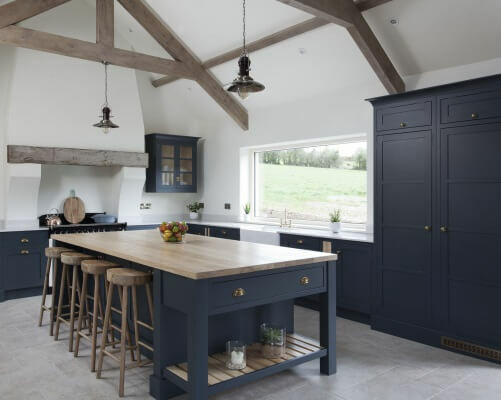 A mix of styles, colours and worktops help to make this kitchen really stand out. 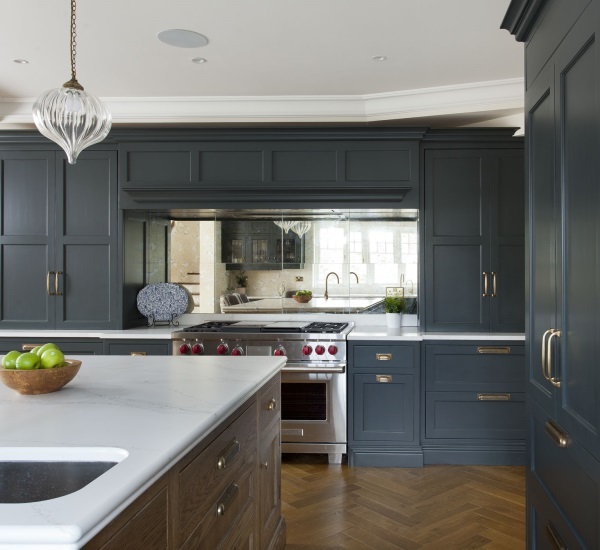 The sink run, with obscured glass doors over, was painted in Farrow and Ball Railings. 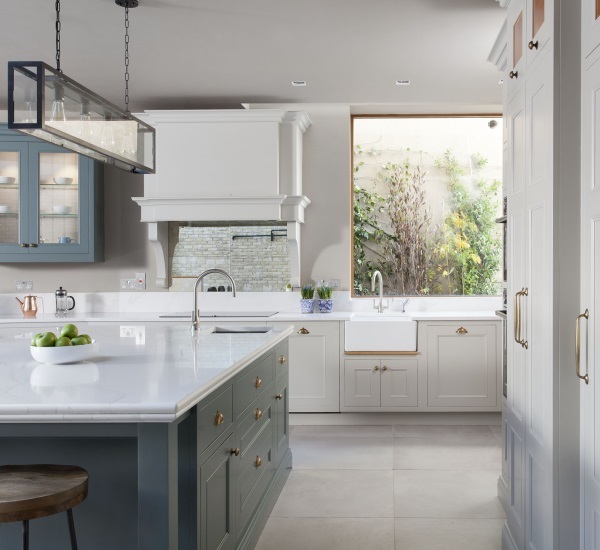 Striking Calcatta Gold by Silestone was used on the worktop and splash back to striking effect. 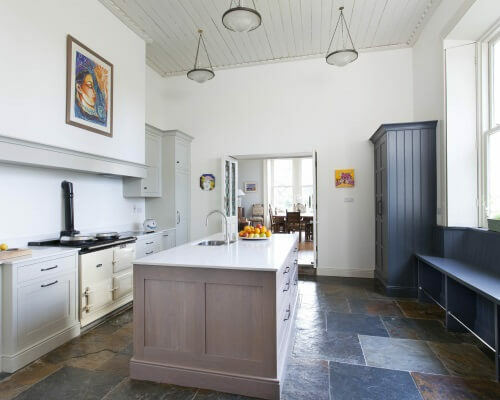 The island and ovens/larder housing was painted in Ammonite. 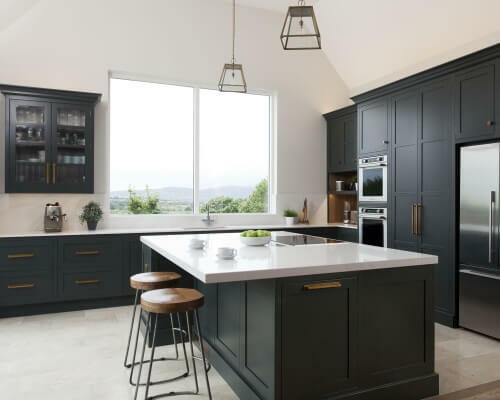 The Charcoal Soapstone countertops by Silestone were returned to the floor at each end to give a great presence to the island and to counteract with the brightly painted cabinetry. 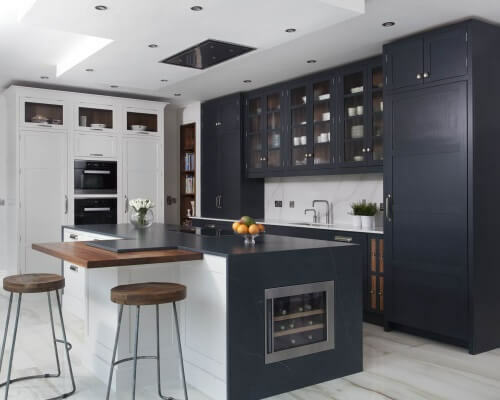 A wine cooler was seamlessly cut into the stone by our fabricators.